Digital forensics company ScanEye as released evidence of copyright infringement taking place at the United States Congress – the lawmaking body of the federal government. Over the last four months, ScanEye was monitoring peer-to-peer downloads initiated by IP addresses that belong to the House of Representatives. 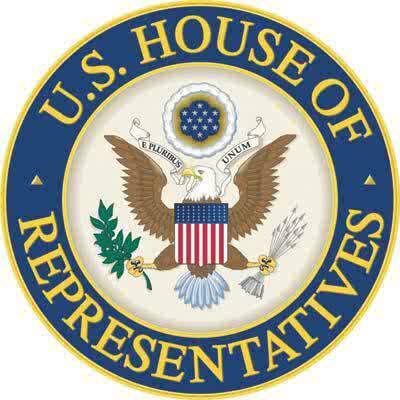 Often referred to simply as ‘the House’, it forms part of the US Congress and brings together 435 members, which regularly meet in the south wing of the Capitol in Washington, DC. n 2011, the same group of people was working hard to make the Stop Online Piracy Act (SOPA) and Protect IP Act (PIPA) federal laws. Judging by the evidence provided by ScanEye, some of the people who have advocated the introduction of tough anti-piracy measures might have been infringing copyright without leaving the congressional office. According to the Washington Whispers, which published the report, over the last four months IP addresses associated with the House of Representatives were spotted illegally downloading everything from TV shows like Dexter and CSI: New York to feature films including Lawless, Iron Sky, Dark Knight Rises and even Smurfs 3D. ScanEye specialises in “anti-piracy enforcement”. To put it in layman’s terms, the company tracks down illegal downloads on behalf of the copyright owners. “Most people believe that downloading files using torrents is anonymous, that is untrue. The very principle of the procedure allows to track and monitor the activity of network users,” read a statement on the company’s website. Last year, a team of researchers from the University of Birmingham had discovered it takes just three hours from the start of a download for an average BitTorrent user to be monitored by an agency like ScanEye. In December 2011, while the members of the Congress were busy drafting SOPA, TorrentFreak reported on a similar study, which found over 800 instances of illegal downloads being initiated from the same block of IP addresses. For more information and to take a quiz: How much do you know about online piracy? at the Source Link below.